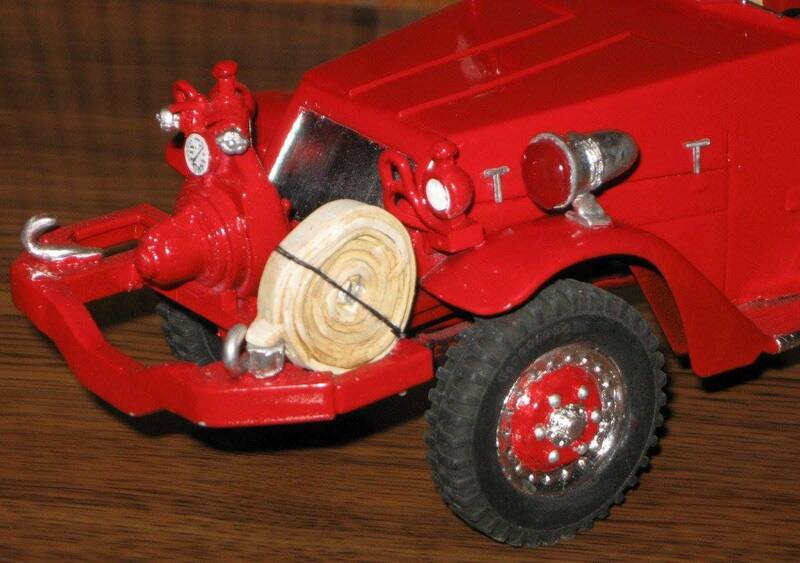 This is a resin front mounted fire pump for 1/25 scale model fire trucks. 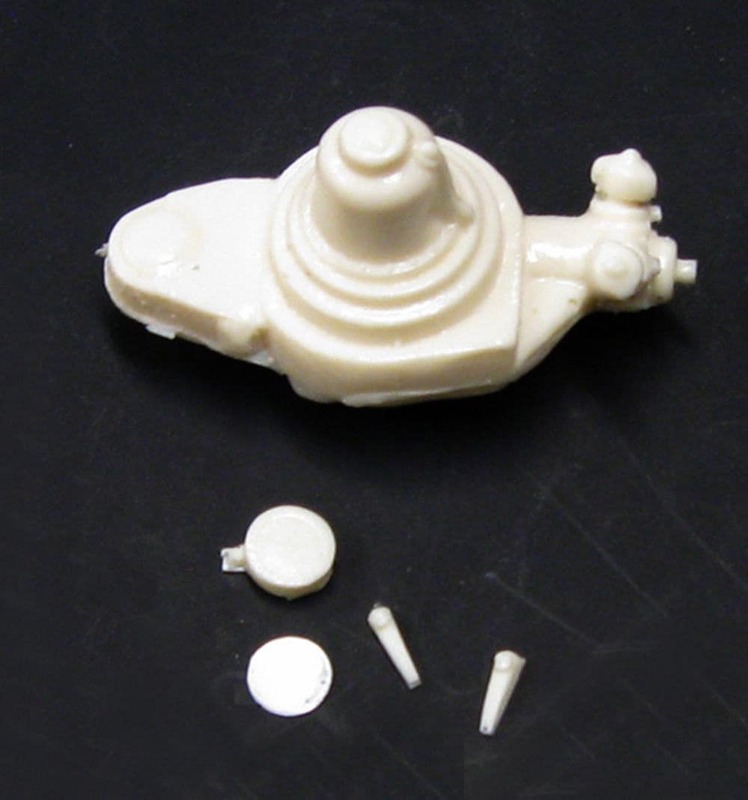 The kit consists of the pump, two valve brakes, a pressure gauge and a photo-printed dial. The pump is designed to fit most any other truck model in a comperable scale. It is in new unused condition. The pump is approximately 1 5/8" tall. It has minor air bubbles and flash and require minimal clean up. It can be painted with enamel, acrylic, or lacquer paints or finished with Bare Metal Foil.